Sharing Joy is a theatre show especially created for those living with Dementia, professional carers, home carers, and families. Everyone is invited! Sharing Joy is a huge celebration of life and all its joys, using music, dance, nostalgia, masks, puppetry and laughter, to bring pleasure and meaning to everyone involved. One in six people over the age of 80 in England is now living with Dementia. Vamos Theatre aims to support carers to improve the quality of life for people living with dementia, by providing training and knowledge around person centred care and non-verbal communication. As Dementia progresses, non-verbal communication becomes more and more important. 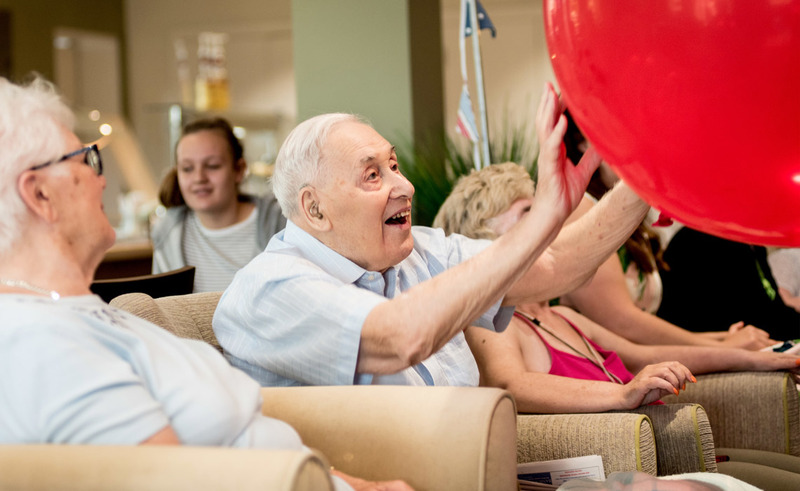 Sharing Joy gives people living with Dementia the opportunity to connect in alternative ways. Attendance is by ticket only (£7.00), and can be booked through David on 01773 853 260. Priority will be given to those living with Dementia, and their immediate carers. A 2-course hot lunch will be served at mid-day, immediately after the show, to those who want it. Lunch tickets must be pre-booked before Wednesday 4th July at an additional cost of £6.00. Please mention you would like a lunch when booking.